The third novel in the brilliant and epic Harry Hole series from the author of The Snowman. Detective Harry Hole embarrassed the force, and for his sins he’s been reassigned to mundane surveillance tasks. But while monitoring neo-Nazi activities in Oslo, Hole is inadvertently drawn into a mystery with deep roots in Norway’s dark past, when members of the government willingly collaborated with Nazi Germany. More than sixty years later, this black mark won’t wash away—and disgraced old soldiers who once survived a brutal Russian winter are being murdered, one by one. Now, with only a stained and guilty conscience to guide him, an angry, alcoholic, error-prone policeman must make his way safely past the traps and mirrors of a twisted criminal mind. For a conspiracy is taking rapid and hideous shape around Hole...and Norway’s darkest hour may be still to come. 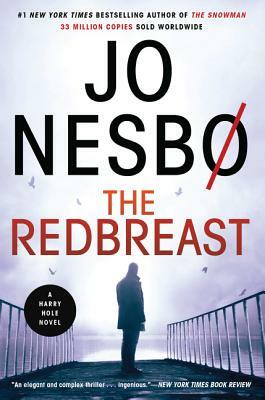 A musician, songwriter, and economist, Jo Nesbø is also one of Europe’s most acclaimed crime writers, and is the winner of the Glass Key Award, northern Europe’s most prestigious crime-fiction prize, for his first novel featuring Police Detective Harry Hole. Nesbø lives in Oslo.